Claire Kunzman has carved her niche in the luxury travel and leisure category for the past 15 years. Before founding Anything But Advertising, Claire worked for two of the country's top travel marketing firms. She most recently served as Vice President of Client Services for a South Florida-based boutique agency. Claire has worked with numerous hotel brands, including Fairmont, Four Seasons, Hilton, Hyatt and Marriott, to name a few. She also brings experience representing independent hotels, spas, attractions, golf courses, restaurants and luxury retailers. With a strong foundation in traditional media relations, Claire is skilled at both “old school” PR tactics as well as “new school” techniques. She holds an MBA in marketing and management from the Crummer Graduate School of Business at Rollins College. She is an active member of the Greater Miami Convention & Visitors Bureau, the Greater Miami & the Beaches Hotel Association, the Miami Beach Chamber of Commerce and Skål International Miami. Arlette Arrechavala is a public relations specialist with nearly 15 years of experience in the travel, hospitality and luxury lifestyle industry. A native of Nicaragua and longtime Miami resident, she is fluent in English and Spanish. Throughout her career, Arlette has been instrumental in creating strategic media, public relations and influencer campaigns that place clients in the limelight. Her understanding of clients’ business needs and the media’s need for immediate, newsworthy content have allowed her to obtain placements in USA Today, Forbes, Travel + Leisure, Conde Nast Traveler, Univision, Telemundo and El Nuevo Herald, to name a few. Arlette graduated from Florida International University with a bachelor's degree in journalism. Melissa Benhaim built a strong foundation in marketing and PR with Four Seasons Hotels & Resorts, Omni Hotels & Resorts and Marriott. 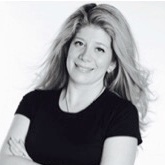 After spending several years handling media relations for clients including Hawks Cay Resort in the Florida Keys and the Anguilla Tourist Board, she transitioned into a social media focus, overseeing major campaigns for branded and independent hotels such as JW Marriott, Waldorf Astoria, InterContinental Hotels and more. Melissa's goal is to leverage public relations and social media influencers to help businesses achieve their objectives. Her recent success in that area earned her an Adrian Award from the Hospitality Sales & Marketing Association International. She holds a bachelor of science in hotel administration from Cornell University. Ines Cano is a worldly and compassionate senior executive with 20+ years of experience in managing global Fortune 500 marketing initiatives throughout European, U.S., Latin American and Caribbean markets. Born and raised in two continents (North and South America), Ines caught the travel bug early. Her approach to life is a result of a genuine love of and curiosity for the world and everything in between. Her concern for the well-being of others and preference for new adventurous experiences sets her apart in the corporate world, where these characteristics easily translate into smart and thoughtful leadership. She has a keen eye for where trends are headed and what that means to the bottom-line. When she’s not producing high growth revenue successes for her clients, Ines can be found enjoying time with her twins and husband traveling the world. With more than 13 years of public relations experience, Sasha Hlozek adds a thoughtful approach combinedwith an international touch. Born in Switzerland with family roots in the Czech Republic, Sasha grew up in England and lived along the East Coast of the United States, bringing a diverse and multicultural viewpoint to the team. After graduating from Boston College with a degree in Communications, she moved to Miami and cultivated a niche in Public Relations, working for several of South Florida’s top travel PR firms. Sasha recently returned to her roots and oversees ABA’s European outreach from her home base of Prague.